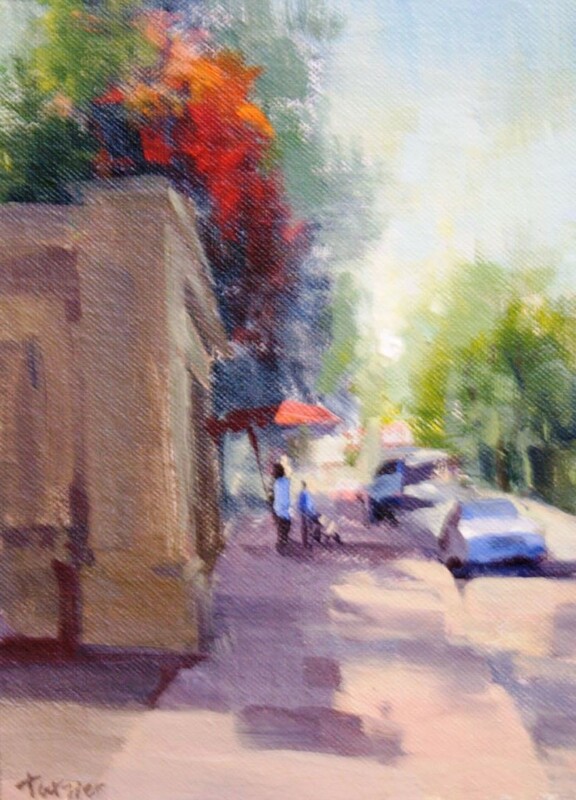 Beginning August 5, the Frank Bette Center for the Arts exhibits paintings by previous Plein Air Paint out (PAPo) participants in “En Plein Air: Alameda and Beyond” event, judged by Seamus Berkeley. 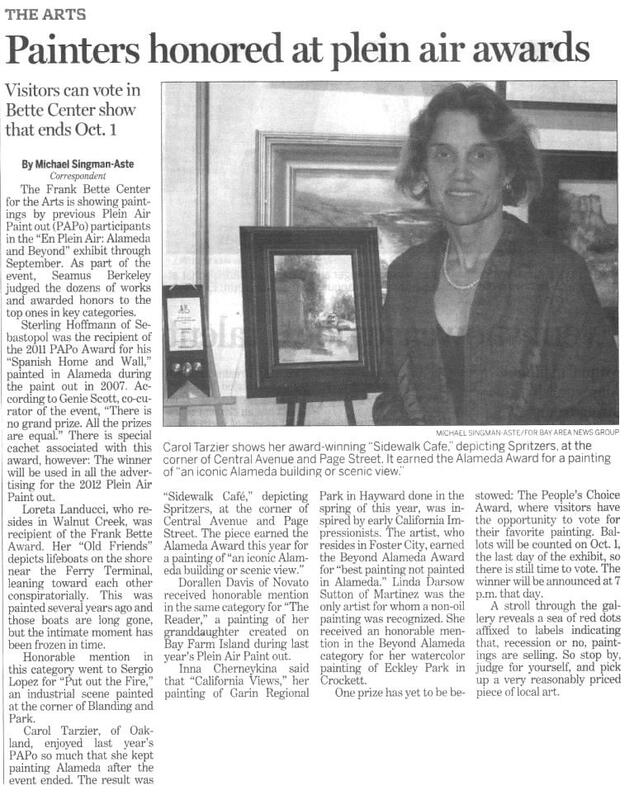 Dozens of oil, watercolor, acrylic, and pastels line the walls in the front and back galleries at 1601 Paru Street. According to conventional wisdom, “Oil is king.” That truism bore out, with all but one prize awarded to oil paintings. Carol Tarzier, Sidewalk Cafe, 2010. Oil. This entry was posted on Friday, August 19th, 2011 at 12:20 pm	and is filed under Artists, Events. You can follow any responses to this entry through the RSS 2.0 feed. You can leave a response, or trackback from your own site.